Hey I'm Nicci, a year has passed since starting this blog, and how things have changed! Originally, I called myself a stay-at-home mum, but now I am a blogger, and a business owner. 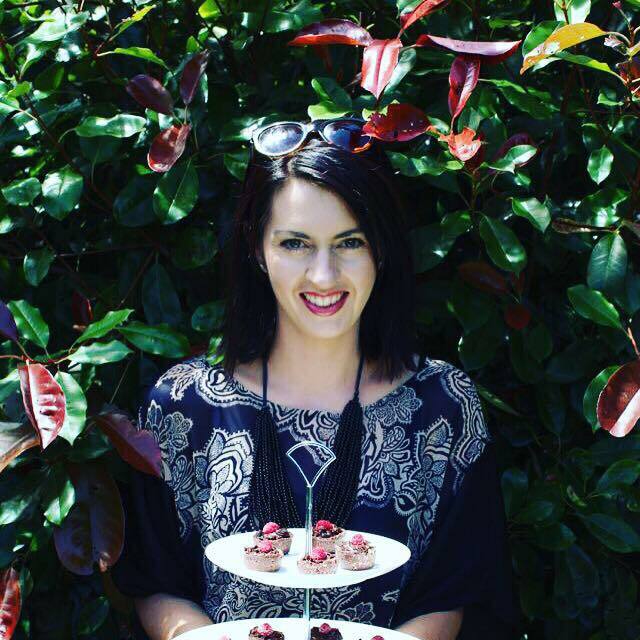 I own a small business called ‘Delights’ here in Whangarei, New Zealand, that sells gluten free, dairy free, and refined sugar free treats. And yes, a ‘blogger’, I still find it weird introducing myself to people, explaining I have a blog, that I just share things I love, which is mainly food! The idea of becoming a nutritionist and/or personal trainer sounds amazing to me; this may be the year that I sign up for my personal training certificate! I have a wee obsession for exercise, I need to do something daily, otherwise go a little crazy! Earlier in 2014 I was diagnosed with graves disease which is hyperthyroidism (over active thyroid), for me this seems to flare up when I am pregnant and post birth. I saw a natural doctor about what my options were and she suggested going gluten free, so for some time I followed a strict gluten free diet, now I am more casual about it, but understand the requirements around being gluten free. I have decided that I am not going to put myself in a little box and call myself 100% ‘paleo’ or ‘gluten free’ – the lifestyle that I aim to follow is eating ‘real food’ – which essentially means eating unprocessed foods such as fruit, veggies, meat, nuts. And I'm not going to lie… I have a small liking towards chocolate…. The name 'At a Pinch' came about, essentially from using meal planning to save money; but it means so much more than that. At a Pinch represents amazing meals that can be made with few ingredients, that meals may only take a 'pinch' of time; that eating healthy may not cost an arm and a leg.